If a Creditor Sues You – You Should Show Up in Court Even If You're Broke! If you're received a notice in the mail that one of your creditors is suing you, you may be in a panic. When you can't pay your bills and have to let some of your debts go delinquent, this is a likely consequence. The usual responses to a debt lawsuit that we see are that people ignore it because they know they can't pay it, that they don't want to take the time to deal with it or they hope, if they don't show up, that nothing bad will come out of it (the old head in the sand approach). None of these strategies are wise. We'll show you the flaws in each, then tell you exactly why you should show up in court no matter what. This is flawed thinking because the creditor already knows you likely don't have the money or none that you can afford to send them. But that doesn't mean that a lawsuit won't force money out of you in another way. That's why they file. If you don't show up, the creditor will most likely get a default judgment. This is not good and it's even worse if the creditor is inaccurately suing for more than you really owe and you don't show up to dispute it. In North Carolina, creditors won't be able to garnish your wages, but they may be able to garnish your bank account. We're all busy, but that's no excuse. First, the court system is there to protect us and showing up and explaining your financial circumstances can go a long way to getting your debt reduced or a reasonable payment plan established. 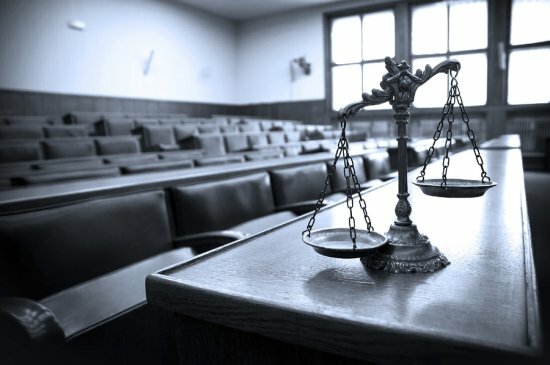 Second, not showing up can indicate that you don't respect the court process and, unfortunately, can actually result in a warrant being issued for your “failure to appear.” Creditors are actually hoping you don't show up so they can ask for the moon and, if you're not there to push back, the judge may give them whatever they ask. Make the time. As part of the service, there is a confirmation that it was delivered to the proper address. You may have even signed for the letter or your spouse or someone living with you did. The creditor will bring this notice to court to establish that you were properly served so the chance that the problem will just evaporate is laughably slim. Even if you've moved, it's your responsibility to notify creditors of your change of address and have your mail forwarded. The only defense is that if you did notify the creditor and they sent it to your old address. This is a rarity. If you get a notice of an impending lawsuit, your first step should be to reach out to the creditor to see if you can work out some sort of payment arrangement. If the hearing goes forward, you need to show up. Judgments can haunt you for the rest of your life. If you absolutely can't make any payments at all on this debt and also have other bills piled up that you can't pay, filing bankruptcy before you're hit with a judgment may be your best bet to get a fresh start and a clean slate for your financial future. If you've received a notice of a lawsuit over a past due debt, contact the law offices of John T Orcutt to find out if bankruptcy is your best option. Come talk to one of our North Carolina bankruptcy experts today.